Skill Energy works with several well known contractors for providing boiler maintenance service for Malaysia customer. During our boiler course, we always emphasize setting up an effective boiler maintenance job is the upmost importance activity. Maintaining a good boiler maintenance service is the key factor to ensure boiler safety and operation performance. Skill Energy setup our maintenance services together with our monitoring plan so that we could assure the respective job could be carried out appropriately. Our boiler engineer will access the maintenance work prior and after the service carry out. We will plan our maintenance job with the boiler owner. Boiler requires appropriate spare part to ensure safety factor. There are many boiler spare parts available in boiler industry however Skill Energy does not sacrifice for safety concern. We have been working with boiler designer and manufacturer so that we understand the appropriate spare parts should be used for respective feature. Boiler is the important steam and power generator; we know the important for maintaining a good condition of boiler facility. 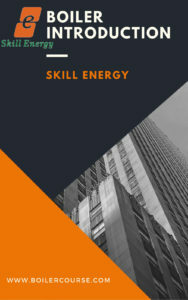 Feel Free to contact Skill Energy if you are looking for boiler maintenance service.